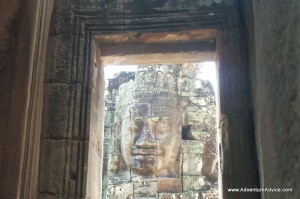 Amongst the many temples at Angkor Thom, Bayon is unique. 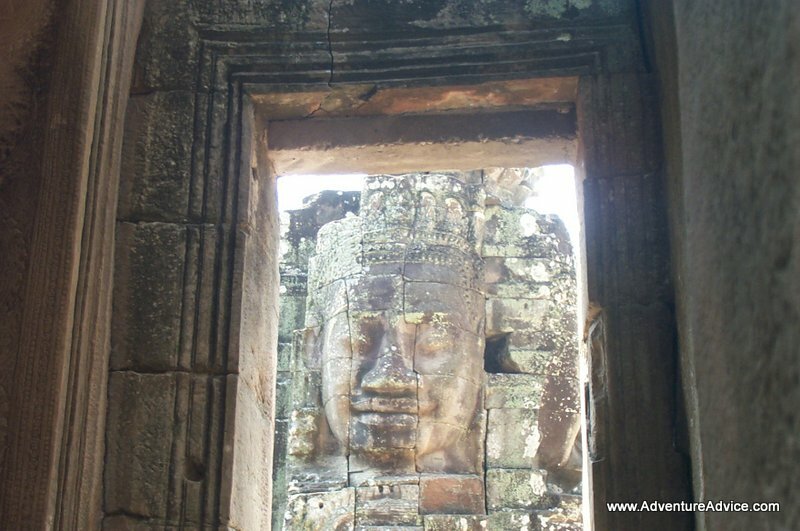 Larger than life, serene stone faces stare out from the many towers that rise from the upper terraces. As you climb the staircases, explore the rooms and courtyards, the faces look on impassively. Below, a modern statue of Buddha attracts local pilgrims.